With the price of petrol skyrocketing, more than ever there should be a reason to get into a car. 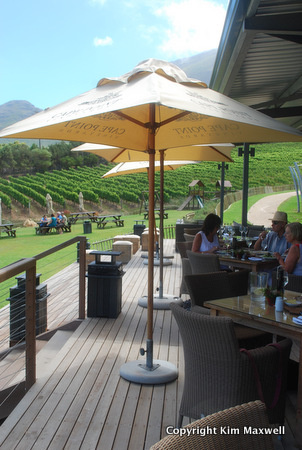 I had a good one recently – for a writing commission, I took along a food-loving friend to taste wines at Noordhoek’s new Cape Point Vineyards (CPV) tasting area. It shares a deck with their new restaurant, and we were invited to stick around for lunch. Not a bad weekday outing, right? We made a morning of it, tasting wines in Constantia, then taking the scenic route via some of Chapman’s Peak hairpin bends. It’s a spectacular drive, well worth the R36 toll fee. CPV’s new wine-tasting area has round tables inside, with deck couches decorated in simple beige and brown wicker. My guess is they’ve kept it intentionally low-key so as not to interfere with the deck view of the farm dam, Noordhoek beach and the ocean beyond. CPV is a long-time favourite for its picnics and family-friendly jungle gyms on dam lawns. But take note – the food deal has recently expanded. 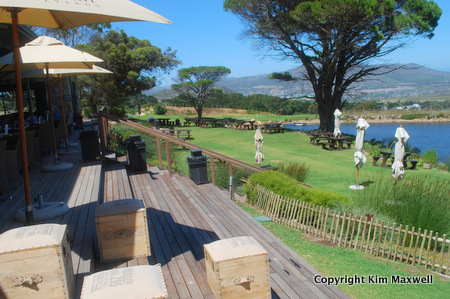 Chef Clayton Bell was persuaded to leave Constantia Uitsig to open Cape Point Vineyard’s restaurant on site. Clayton is overseeing the picnics too, of which friends have provided good feedback – at R330 for two people, a basket is sent to picnic tables, packed with creative salads, pate, charcuterie, wraps and something sweet. Clayton’s understated style focuses on simple Med classics highlighting flavour, so you’ll find no-frills plating here. 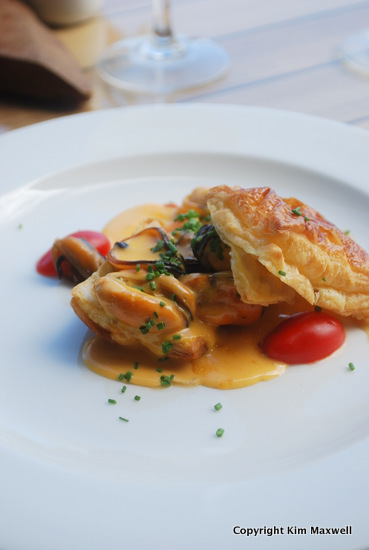 A one-page a la carte lunch or dinner menu includes the likes of carpaccio, caprese salad, Parma ham and figs … Puff pastry is a winner, as Clayton’s pastry chef wife supplies a number of great Cape Town kitchens. So I’ll return for the outstanding Bouche de Moules (R85), a retro dish teaming exquisite pastry with black mussels in a creamy sauce, rich with fish stock and saffron. Less exciting was a puff pastry tomato tart (R75) enveloping Fontina cheese with mustard and basil, in my view lacking attention to detail or perhaps the correct variety of ripe tomato. But I’m sure this will be easily ironed out; Clayton mentioned his new kitchen staff are finding their feet. 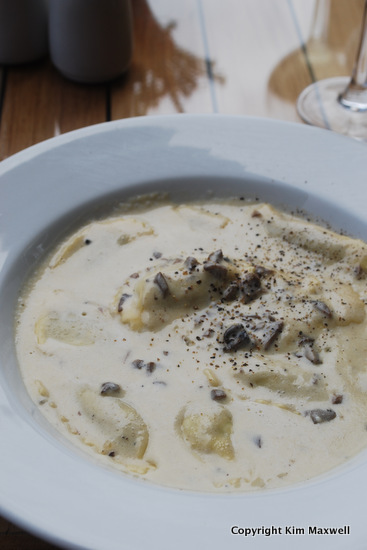 Freshly made pasta was always an Uitsig signature, and it’s also the thing to order at CPV restaurant on a chilly day. Mushroom ravioli (R100) was simple and satisfying, if not something your doctor would recommend. Half-moons filled with shrooms and ricotta, doused heavily in cream-and-truffle-oil sauce. We struggled to decide between grilled sirloin with mushroom and truffle sauce served with pomme frites (R140), and the grilled springbok loin (R155). 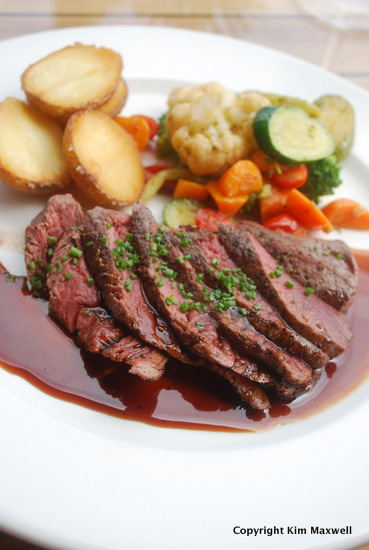 But it would be hard to beat the tender game medallions that arrived, served under a shiny caramelised honey sauce with roasted baby potatoes. With cream and butter used so liberally in earlier courses you won’t have much room for dessert, so a shared portion is advised. 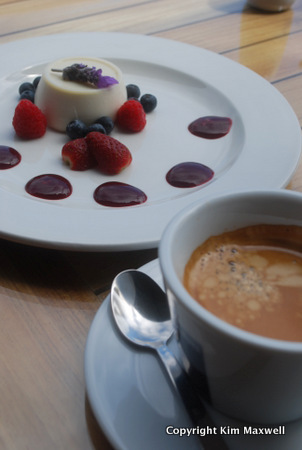 We didn’t fancy lavender in the panna cotta (R75) but gave it a whirl anyway. What a pleasant surprise to eat spoonfuls of soft white vanilla with only a lavender hint, plus an excellent coffee to boot. Bravo. Wines to taste: A charming Parisian took us through Cape Point Vineyard wines – she’d studied oenology and decided on a work stop in South Africa to understand local wines. Duncan Savage’s wines usually collect a healthy medal tally in local competitions, and they’re as delicious as ever. Special mention goes to the CPV Sauvignon Blanc Reserve 2012 (R155) with its Sauvignon-dominant split with Semillon and 14 months barrel time (a tiny percentage is fermented in clay amphorae). Taste lean, green fruit with soft-textured minerality. It’s good value compared to the flagship Isliedh. CPV Isliedh 2012 (R235) isn’t cheap, but this already-stylish sipper will improve if you can keep your hands off it. The Semillon portion is bumped up, again with Sauvignon Blanc, but there is less oak and clay amphorae time. I loved this wine, noting yellow plums, apples and creamy oystershell. CPV Chardonnay 2012 (R155) was a surprise find, making a lovely lunchtime wine. It had a lot of barrel time but handles it well, with white peach and almond nib flavours.